Both WordPress and Joomla is by far the most popular blogging platform. But tumblr also continued to show its existence by developing more features. Tumblr is a free-to-use blog platform. 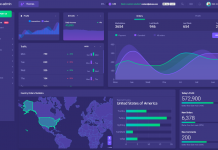 Popular because of its simplicity and easy-to-use dashboard user interfaces. 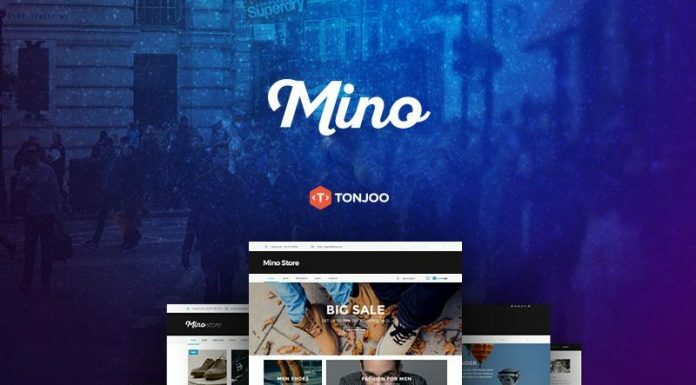 You can publish text, photos, videos and music for everyone, create elegant portfolio and share it to anothers. 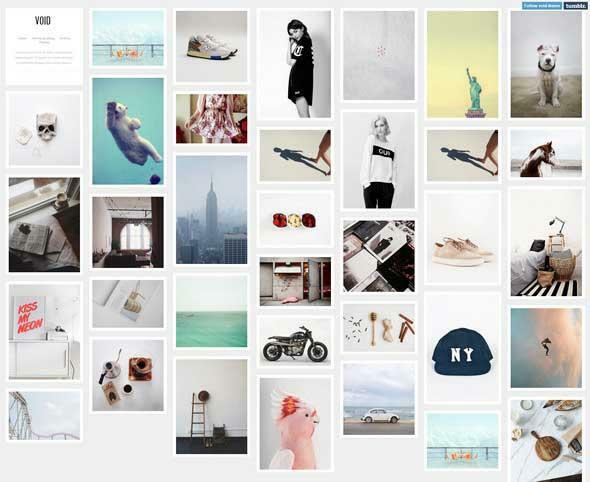 There are lots of free tumblr themes which used to create a lovely tumblr blog easily and fast. 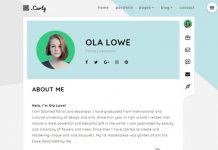 In the previous post, we have post about blogger templates (35+ free design) with great features. In the today’s post, we bring to you a collection of the best Tumblr themes for any type of blog topics. All of themes listed below are handpicked by our team and packed with features that will make your blogging life easier than before! 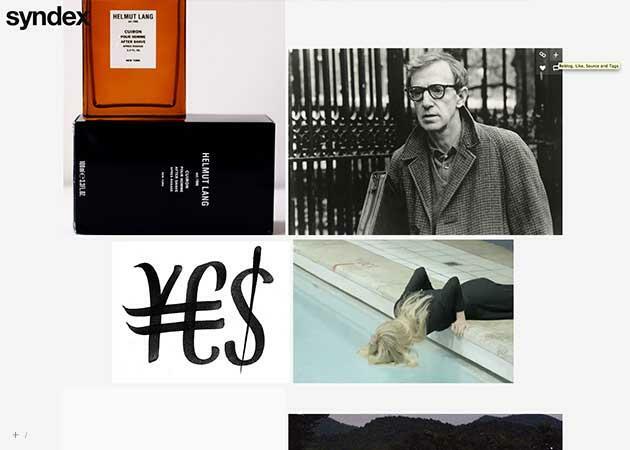 Juggernaut is a beautiful and minimalist grid design theme for Tumblr users. 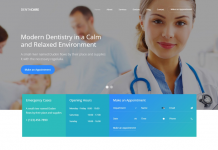 It is very customizable and contains an attractive layout. 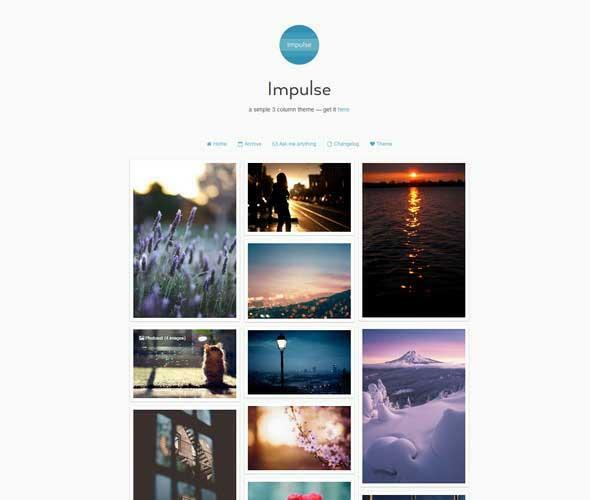 Impulse is a simple three-column Tumblr theme, perfect for revealing plenty of images. Modification is straightforward and thus may be the install procedure. Syndex is a highly functional board theme. All Tumblr choices are minimized yet just a click and it has Infinite scroll built in. 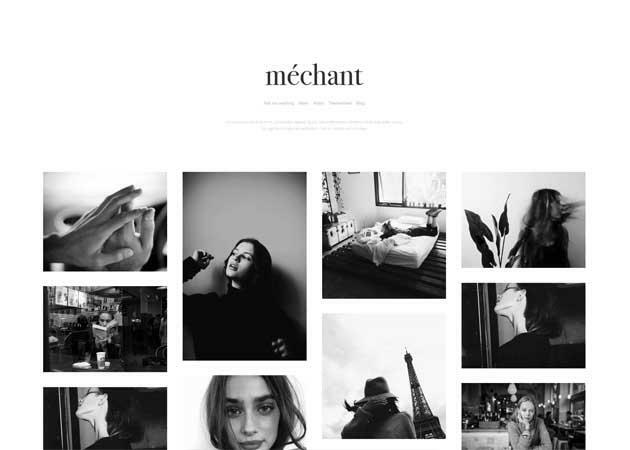 “Art She Said” is Tumblr theme released for free and has now a simple, minimalist and grayscale design. Void is an impressive theme for portfolio showcases. It comes with endless scrolling which is also responsive. 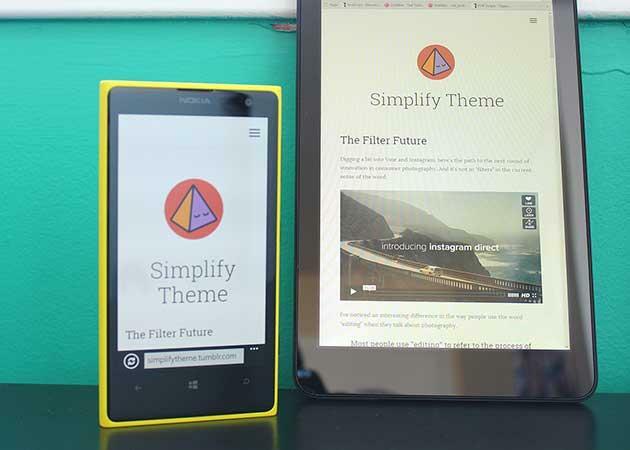 It’s a really versatile theme that also has lightbox support for better image previews. 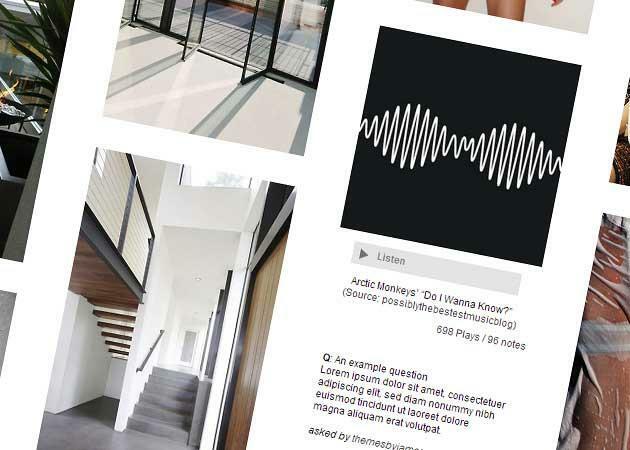 The Single A Tumblr theme has a sticky and highlighted articles choices. 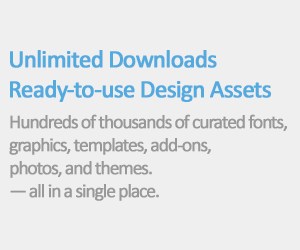 It is a straightforward, but completely customizable free theme. 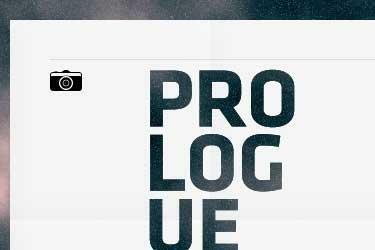 Prologue is a responsive Tumblr theme that appear great on any tablet, cell/mobile phone, laptop, and desktop device. 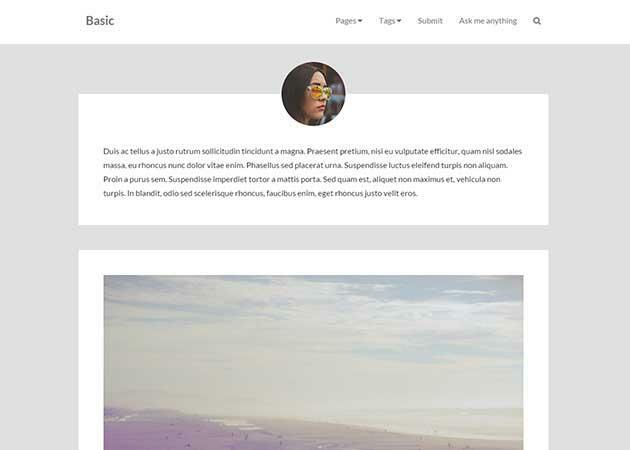 Basic is a minimalist starter theme to have your site up and running in seconds. It’s pixel perfect and has a completely responsive design. 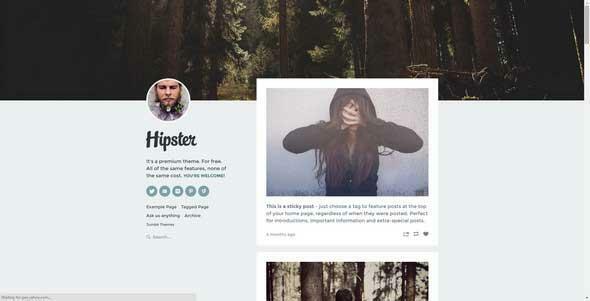 Hipster is a premium searching yet free Tumblr theme with a single line layout. 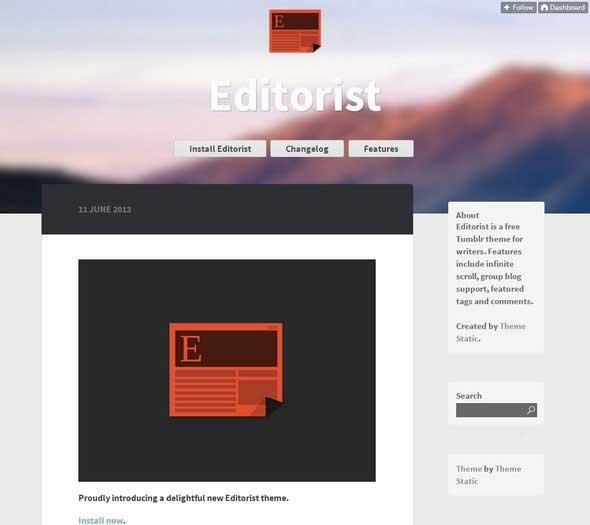 It comes down with a static sidebar and it’s also perfect for various types of blogs. 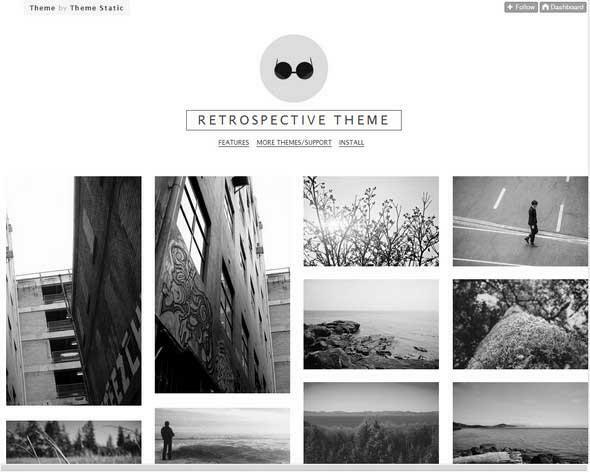 Retrospective theme is a fantastic compliment photo blog sites. Post permalinks and sharing features are pushed away until the post is hovered over. 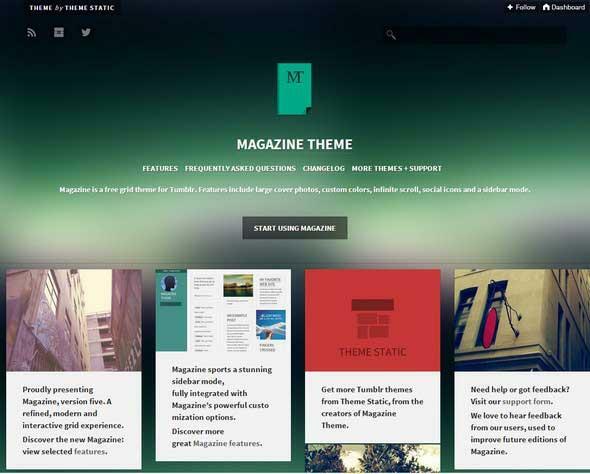 Magazine is a free theme for Tumblr with outstanding variety of customization features and a beautiful, simple grid-style layout. Simplify Tumblr theme comes with sticky navigation. 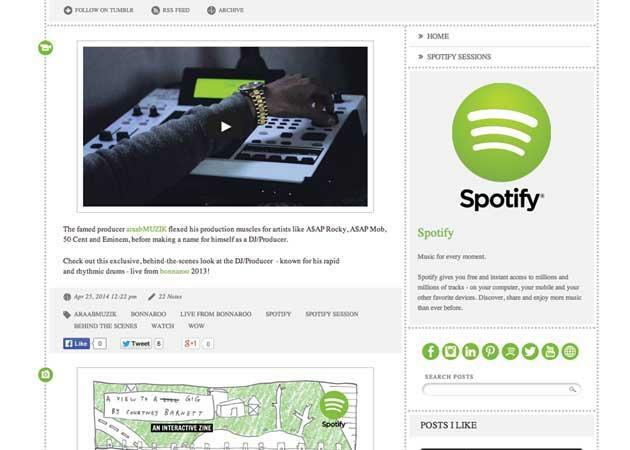 You can navigate easily on the weblog, while the menu follows you while you scroll the page. 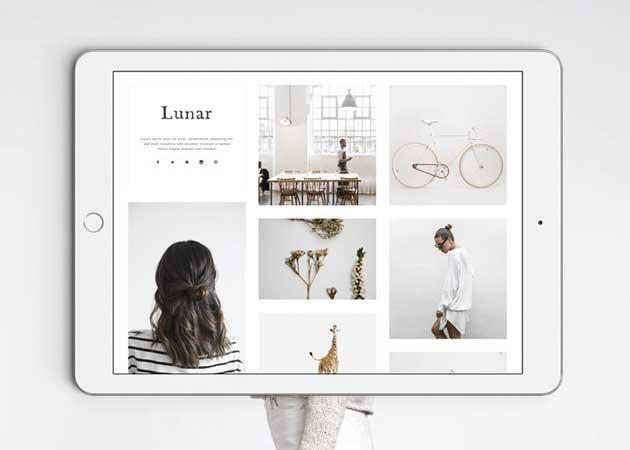 Square is a clean and simple Tumblr theme that is completely liberated to download and install. If you post vibrant, colorful photos, this theme is perfect for you. Wicked is a clean and easy photography theme for just about any weblog and supports a responsive multiple & one columned layout. This really is another brilliant theme for Tumblr, that is packed with great benefits including social icons, unlimited scrolling, sharing buttons, etc. 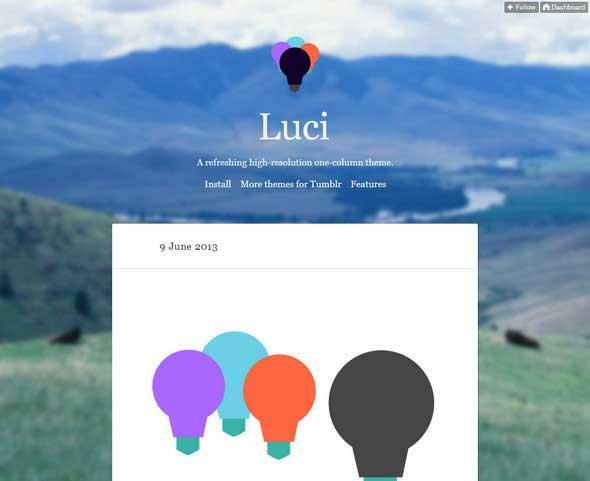 Luci is a new theme built for high-resolution content. It comes with a unique lightweight design. 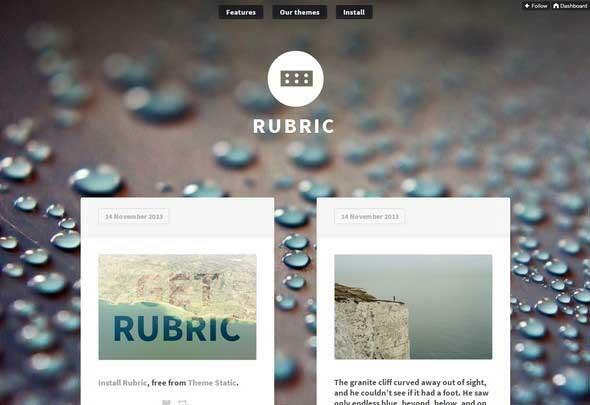 Rubric is a beautiful and creative tumblr theme with full-screen background images, and a glossy magazine-style design. 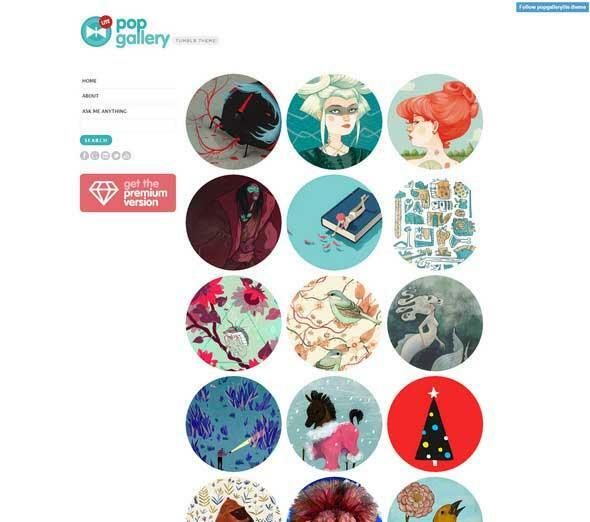 Pop Gallery Lite is a Tumblr theme for artistic portfolios, galleries, handcrafts shops, with the unique possibility presenting distinct thumbnails on the front page. It has an attractive and clean design. 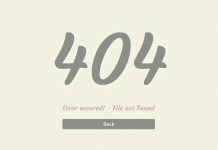 This is certainly a striking theme that emphasizes your content and comes with an optional infinite scroll feature. 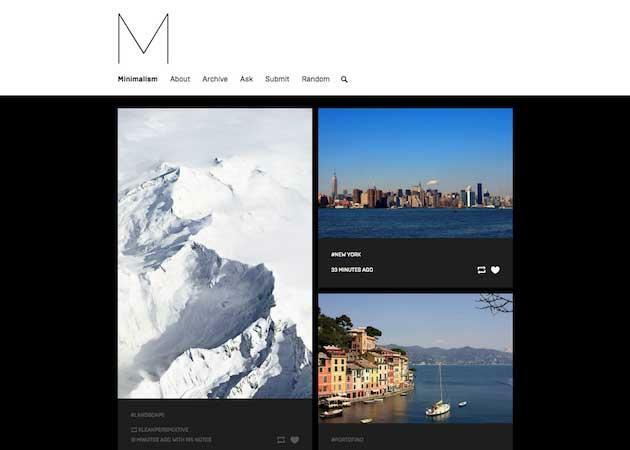 Two is a responsive grid layout theme, suited to all blog types and niches. It’s fast and user-friendly. 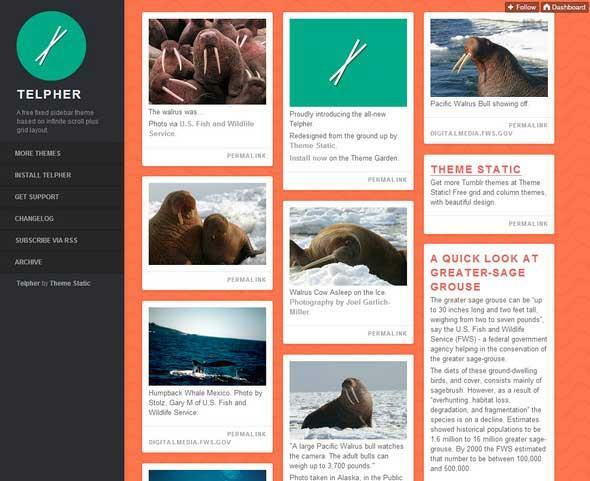 Telpher has an attractive fixed sidebar and grid layout. It sticks out because of the bold usage of flat colors and unlimited scroll gallery. 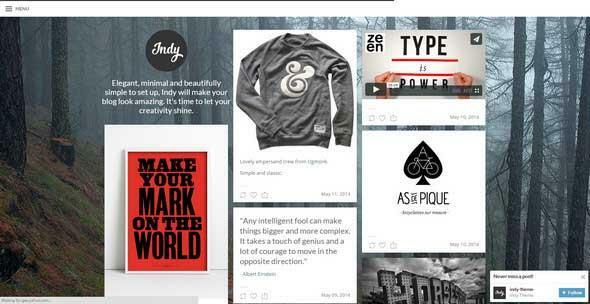 Indy is a stylish, minimal and breathtaking theme. It has some good fonts and clever layout choices. It’ll make your Tumblr blog look stunning. Eclipse theme amazes along with its ultra ease. Let your photos arranged the environment for the weblog. 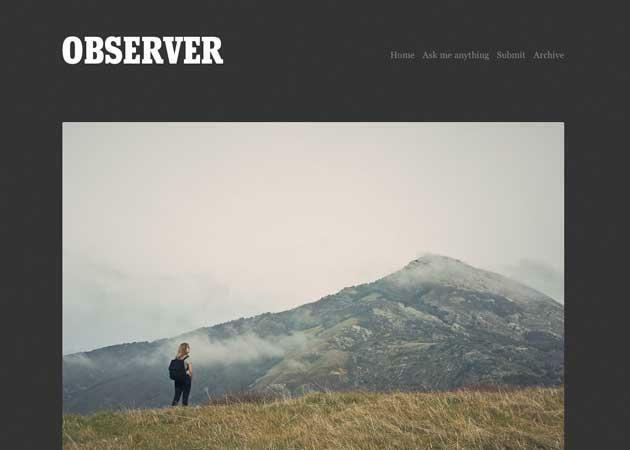 Observer is made to concentrate the site visitors on your photos, text, and music. 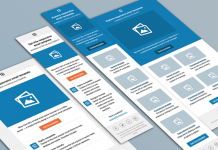 It’s a fluid layout, enables you to select from two header designs, customize fonts, colors, and header image and additionally choose from extra-large and regular-size images. 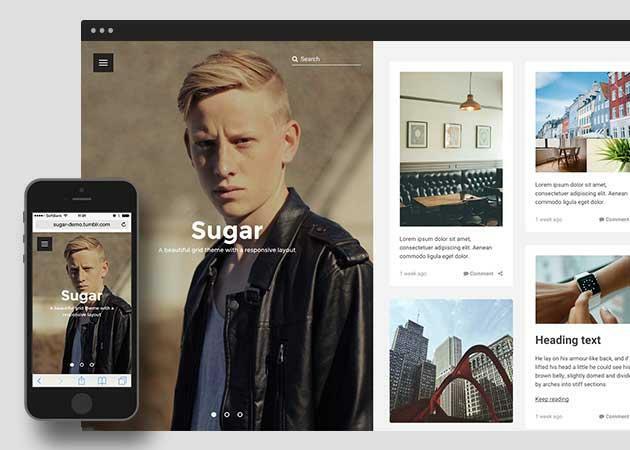 Sugar is a Tumblr theme using a variable grid layout. Your collection are going to be beautifully shown on any layout. 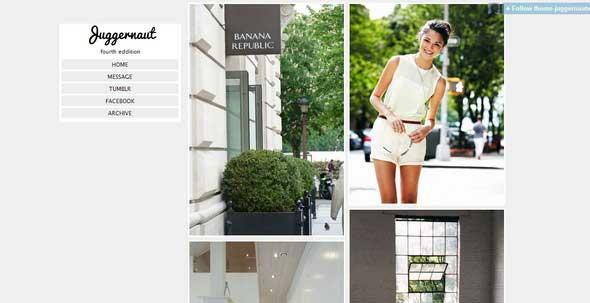 This theme is released with features such as for instance social sharing, minimal design, and responsive layout. 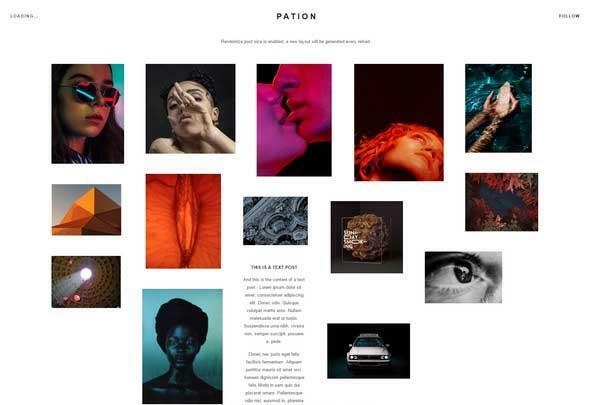 This Tumblr theme is unique and its own full-width layout will showcase your photos and projects however you like. 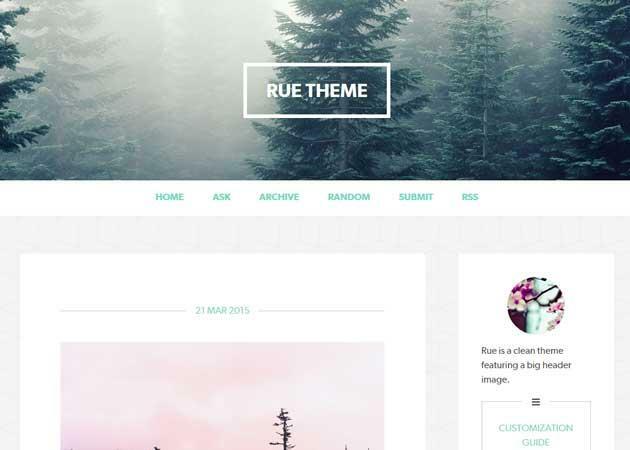 Rue is a clean theme featuring a large header image. 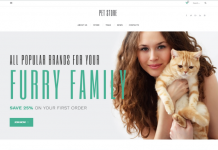 It comes with a responsive layout and a header image, with optional color overlay. 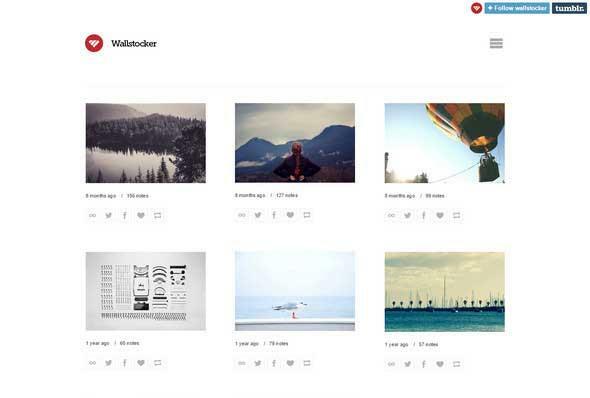 Wallstocker is an elegant Tumblr theme that accompany a three line layout and a responsive design. Minimalism is a minimal black / dark Tumblr theme that provides a lot of modification choices allowing your articles to shine. 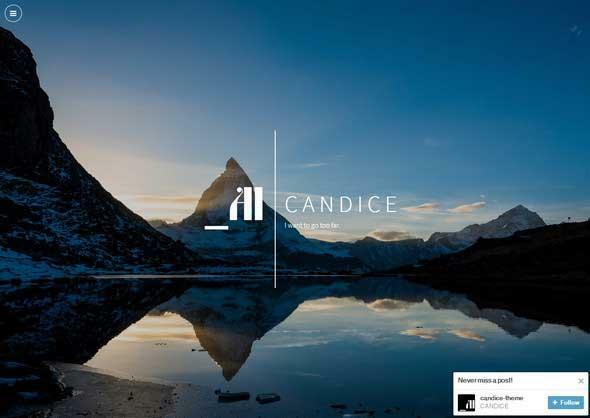 Candice is an individual column Tumblr theme with a fantastic layout on that your articles are exhibited beautifully. 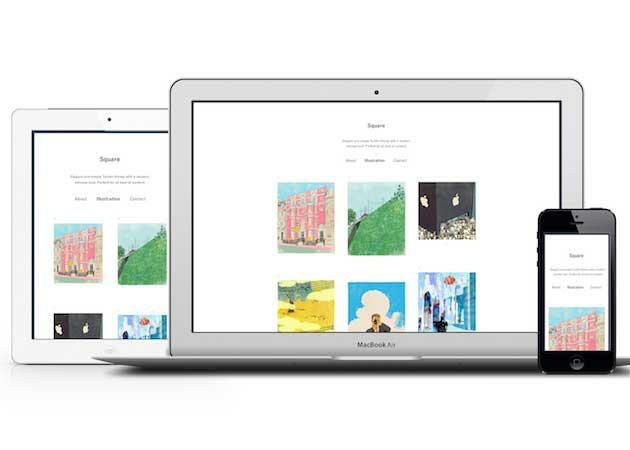 All things are effortlessly customizable, plus the theme is retina ready and fully responsive. 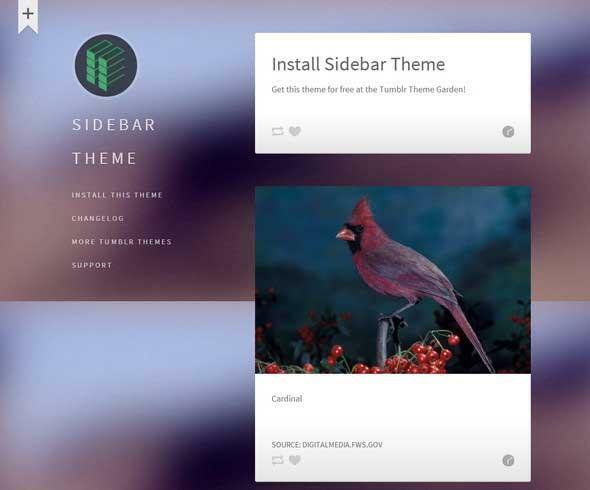 The Sidebar theme has an excellent layout that allows your articles shine with high-resolution imagery and light-weight text. 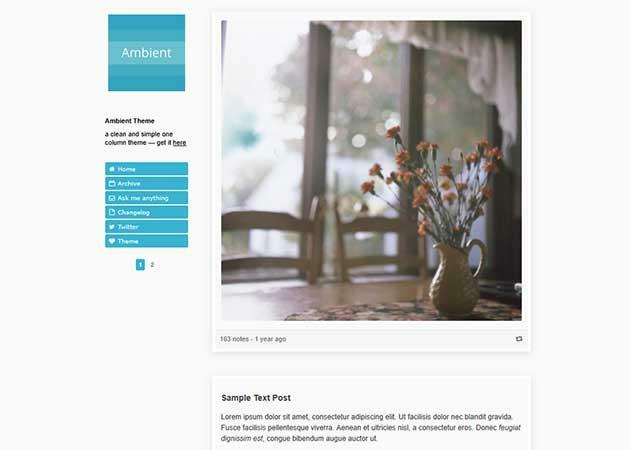 Ambient is a clean and simple, single page tumblr theme with a fixed sidebar. 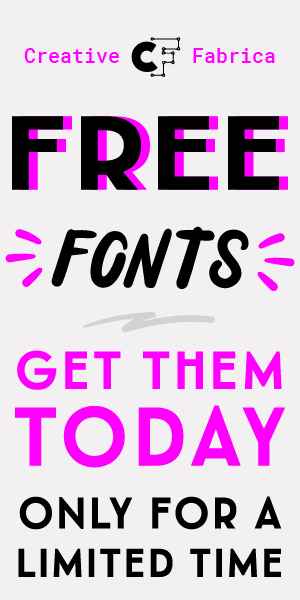 It’s possible to you to create custom colors for accent, background, post-border, post background, post text and additionally custom fonts for post body and sidebar links.